Gavin just announced that 2014 was the hottest year ever, ignoring the fact that his error bar is 500% larger than his claimed record, ignoring that satellite data disagrees, ignoring the record Antarctic sea ice, ignoring the above average global sea ice, ignoring the record snow cover, and ignoring common sense. The United States has gone full Goebbels. NASA is actually saying it was the warmest since 1880. Apparently, the Earth’s recorded history started in 1880. Gillis has no excuse, 1880 is in the 1st sentence of the press release. it’s their most infamous half truth. The deliberately choose a period just after the end of the Little Ice Age (which they deny happened). so let me see, an ice age ends and it gets warmer. What’s shocking about that? Nothing, unless you are a dedicated LIV or looking for a cause to join to improve your Pious Points. I absolutely love Gilmour’s guitar work. Here’s a couple guys that know something about playing strings but not the ones on a guitar. They were trained classically and still play the full range of that genre wonderfully but they can rock and pop also! Cool. Real talent can make itself known no matter the medium. I have many guitar heros, and one of the best to come along in some time is Joe Bonamassa. those two cello players are just AWESOME! When you are trying to save the world from the apocalypse don’t sweat the details. These climate scientists feel the weight of the world on their shoulders. Na that’s just the weight of the coin in their pockets. And our local news (KCRA) is not posting my comments on the article (of course). Dissent must be silenced! This is organized crime, on a national scale. We are talking 1/100 of a degree or so. 2014 would have to be a massive half a degree warmer to bring observations up to the level of the climate model ensemble mean. And … it would have to be much warmer yet to bring the entire trend line of the observed temperatures to even resemble to the models. They are so far behind, I don’t see how they can catch up. But hey, they have their talking point. Their algorithm is working alright! What is really amazing is the divergence between satellites and surface data since the failure of the Copenhagen climate summit. RSS – GISS = -3.6°C/century. Where have I seen that value before? They are priming the Lemmings for Cliff jumping time in Paris next fall. Yep they are even playing the divinity card! But do you think it will really work? I’ll just say I believe NO IT WON’T! I don’t think Paris will be anymore “productive” than Copenhagen. And I sincerely hope that Paris has record cold and snow while they are there. Wait for Obama to quote the “warmest year ever” in his next speech on the need to impose legislation to combat climate change. Wanna bet it comes up in his State of the Union address Jan 20th? Oh yeah! It’ll lose its gloss after then and there’ll be something else for Paris. I had exactly that reaction. There’s been a rash of ‘end of the world’ news blasts this week. Just a coincidence. Sure. Right. Well you can fret the details but the headlines are all that matter. The claim 2014 was the hottest year ever will carry a lot of weight with the general public. Let us see if the polls show that over the next couple of months? Only now, that lie can circle the globe a trillion times, while the media denies the truth even has shoes. Newest gallup poll shows 57% of Americans uninterested in climate change. Same 43% Democrats as always. Fewer voters than ever have a favorable opinion of the Environmental Protection Agency, and a plurality say that its regulations and actions hurt the economy. …..survey of 1,000 Likely Voters was conducted on December 21-22, 2014 by Rasmussen Reports. Hard to convince anyone outside of California that last year was the ‘Hottest Year EVAH’. No, people will see this as really nasty lying. been following ice age now over the years, have to say i have never seen a year like 2014 for reports on cold temps broken and record snow worldwide. Scientists for climate change won’t let facts get in the wayof their cause. They haven’t before nor will they in the future. Richard have you really looked at the winter information from 2008 on? 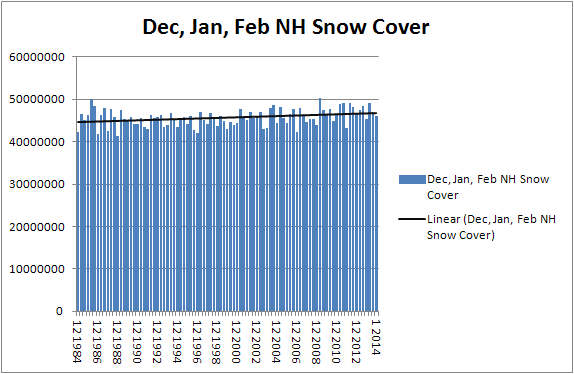 What was interesting about this winter was the snow and cold was not as localized. At least they didn’t show cooling towers spewing steam like the idiots have done time and again in the past. They really like those because they look so impressive and have such a big top as compared to a smoke stack. BTW I bet the pic was taken in cold weather and there is a whole lot of condensation that makes it appear to be really smoky. I have been around a hundred or so coal fired power plants and the only time they make a bunch of black smoke generally is during start up. But that shows three stacks representing probably separate generating units and you just start one unit at one time after it’s been shut down. 2015 is on course to be the hottest year ever, much hotter than 2014. The Canadian media will jump all over this. The news anchors will be pounding their desk, tears rolling down their cheeks, telling us the world is coming to an end unless we stop using carbon. Canadians will eat it up like village idiots and demand their governments do something before it’s too late. I mourn for my country. It’s people are morons. Global and CBC …front news tonight!! CTV (local here in Calgary) are not a big at pushing it but they do…. Yes .02 deg C and .04 deg F will certainly mean “the Pause” is over! The world is doomed. (Sarc). Well, if this is true, then why are we worried? We should be celebrating. The world handled it quite well. There was hardly any weather anywhere that was out of the ordinary. 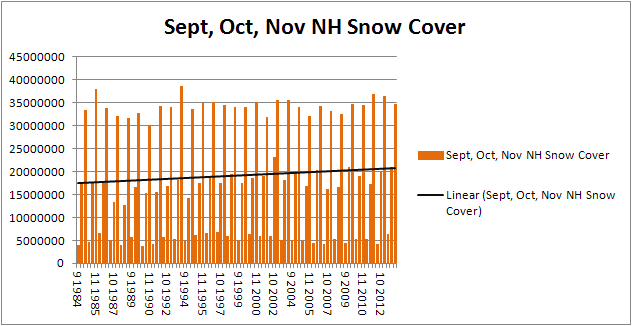 Crops near me failed because of snow in early September so we could have used even warmer weather. The dangers and the catastrophes are overrated. The warmest year on record provided a reasonably decent year weather wise (though it did reach -40.3C at my house in March). I think an even warmer year might provide an even more agreeable climate for all! Personally Bob I think it should be argued that it is BS instead of accepting what they say and arguing about that. Just tell it like it is. It’s a flat out fraud created by manipulation of the data, including the omission of and downward adjustment of historic data, and has absolutely no scientific or practical relevance with the exception of PR and politics. …and money. Don’t forget the money. I don’t believe for a minute that 2014 was the ‘hottest’ year. But for those who do accept that, or try to stick in my face, I would say awesome! Maybe the next ‘hottest’ year will be even nicer! Certainly I see nothing to fear or worry about. I agree entirely with Steve Goddard’s attacks on the temperature records. His analysis is compelling. What I mean to say is that if 2014 was the hottest year on record, I am all for it. Give us more. The planet has managed exceptionally well. Perhaps it will be even better with more warmth. Makes one wonder what the chicken little would do if a real drastic change in temperature happens doesn’t it? Perhaps survivalists have a point? No, I’m not one. I already was one before there was such a term. If one lives out of a rucksack long enough in inclement conditions and learns how to make Lye soap and how to build your own cabin and chink it, run your own trout and trap lines, hunt, then one is after all a “survivalist” even if before that they called you a boy scout or just a good ole American boy. Enough that some buildings in Voss have collapsed under the weight and several municipal buildings are in danger of collapsing. civil defense authorities asked for assistance in shoveling massive amounts of snow from roofs on municipal buildings. And more snow, possible rain is on it’s way. Earlier this winter Norway –was forced to remove excessive snow from ski slopes. Japan has been plastered with storm after storm and another is on the way. Rare snow blankets Bombala, a town in south-eastern New South Wales, Australia, approximately 485 kilometres south of Sydney. Brisbane recorded its coldest morning in 103 years on July 13, 2014, with low temperatures also being felt across the rest of the Queensland state. ..Meanwhile, the cold snap is predicted to send vegetable prices soaring up to three times normal prices. The combination of an unusually late start to winter plus a sudden plummet to near-record lows has confused the growing cycles of just about every plant.”..
OH, and don’t forget the record ice on the great lakes two years in a row not to mention the snow in the gulf of Mexico. The only reason the CAGW scamsters can get away with Warmest year EVAH! Is because the MSM has a news blackout on cold and snow events. Was just over at Ars Technica where the tech geeks are lapping this up like sweet cream. Uh huh. Hottest years. Uh huh. Consensus. Yes. Do not question. Obey. You even ask a question and they downvote you to oblivion. The geek community used to be so skeptical and libertarian. The new generation is a pack of useless, arrogant, group think sheep. What happened? Here is what you want. The 12 month moving mean. As long as you don’t insist that Jan1 to Dec31 is the definition of a year in nature, the recent 12 month period (not updated in WFT) might still end up short of May2009 to May 20101 that was 0.02°C warmer than the calendar year. Since we’re all going to be killed by terrorists, why worry about climate change? Anyone intelligent enough to come up with this nonsense is also intelligent enough to know its a meaningless fraud only used to advance political agendas. They use one fraud, the 97%, to support another fraud. Remember the 9 out of 10 doctors smoke Camels or whatever. Its a constant appeal to authority. These scientists can’t possibly believe the garbage being put out but it fits with their ideology of economic activity, consumerism and enviromental exploitation just has to be destroying the world. Old Gold – Not a cough in the car load! 4 out of 5 dentists prefer Crest toothpaste. the stridency itself is getting alarming! Yahoo has three top of the list articles declaring we are already in a disaster. Not that we’re headed that way but already in the midst of it! All of which flies in the face of actual worldwide stats on hurricanes, tornadoes, drought, etc. One article declares we are just around the corner from a mass extinction event in the oceans. Good grief! These people are driving me nuts with their provably BS rants. Hurricanes hardly happen while tornados are nada…but blizzards are plenty. So…this means hottest year evah, right? Employees: Due to the weather, the center will not open until 10 am ET.